You deserve to have a wine bottle stopper that features a fun design. Anything a little more provocative or fun to see is worth checking out. Our red wine bottle stopper features a charming look that is interesting to see. It has a good look that adds some charm that is truly interesting and fun to have. 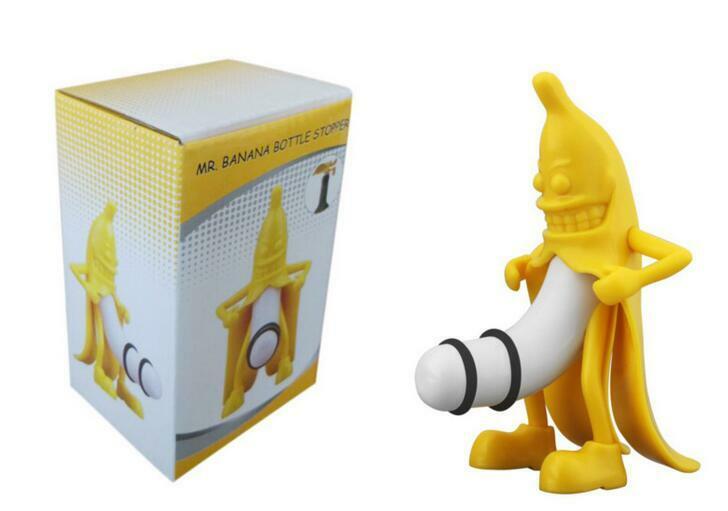 Look as this wine bottle stopper features an anthropomorphic banana sticking him into the bottle. He is about 5 to 10 cm in diameter and offers a body that lets you quickly insert the stopper into the bottle opening. He is also about a quarter of a pound in weight or around 0.1 kg to let you add it in there without being tough to use. The PE plastic material on this stopper is easy to wash off. It also produces a smooth body that you will love to add into your bottle. Most importantly, the ribbed design of the bottle stopper ensures that you will keep the wine protected without air getting in the way. After all, you surely need to keep your red wine secure from air if you want to keep its texture and flavor intact. Of course, the fun look of this banana will surely be a good conversation starter. People will be impressed with your banana stopper while also asking you plenty of questions about it. Of course, those are all going to be good questions when you consider what is available and how well it can be laid out.